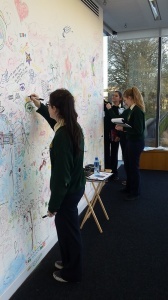 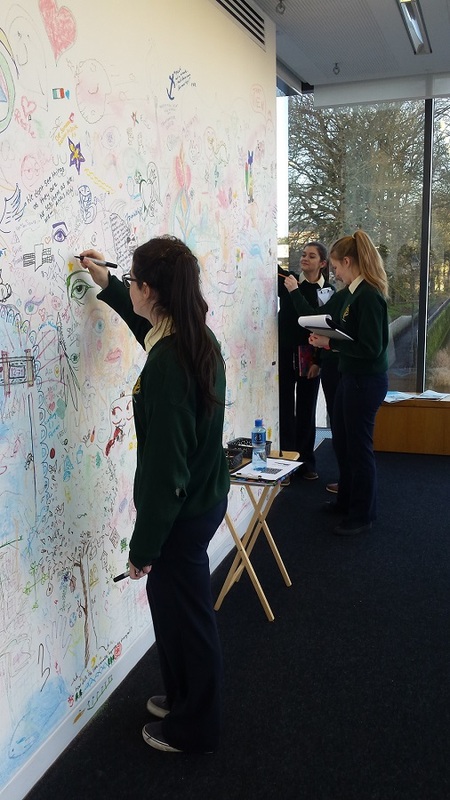 Lat Tuesday the fifth and sixth years art students tool a trip into the Luan gallery Athlone . 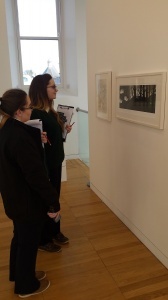 The current exhibition “Without the words” is inspired by a line from Emily Dickinson’s well loved poem “Hope is a Thing with Feathers” . 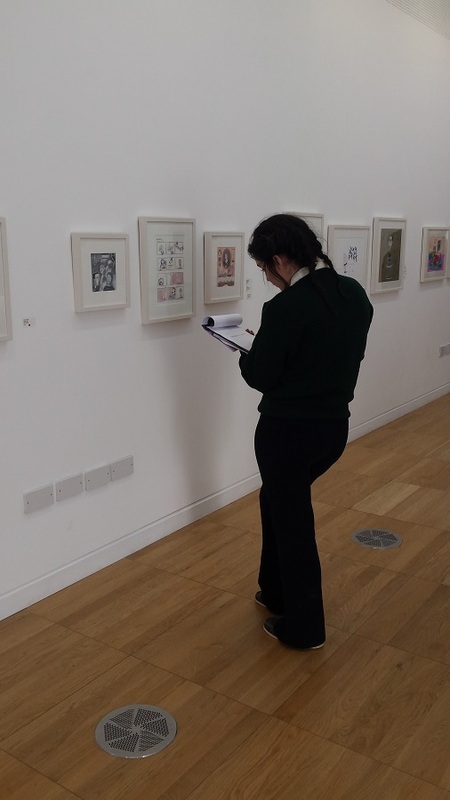 The exhibition showcases the work of both established & emerging creative talents and is a testament to the vibrancy and recognised status of Irish illustration at home and in the international arena. The current exhibition in the Gallery presents this imaginative and cutting edge art form to audiences and Art lovers in the midlands. At their awards ceremony in the Bridge House last Friday night Offaly GAA honoured two of our recent past students Colin Kenny and Emer Nally as Players of the year. Colin graduated from Gallen CS in 2015 and is currently studying Nutirtion and Dietictics in Dublin and Emer Nally graduated in 2016 and is studying in the University of Limerick . 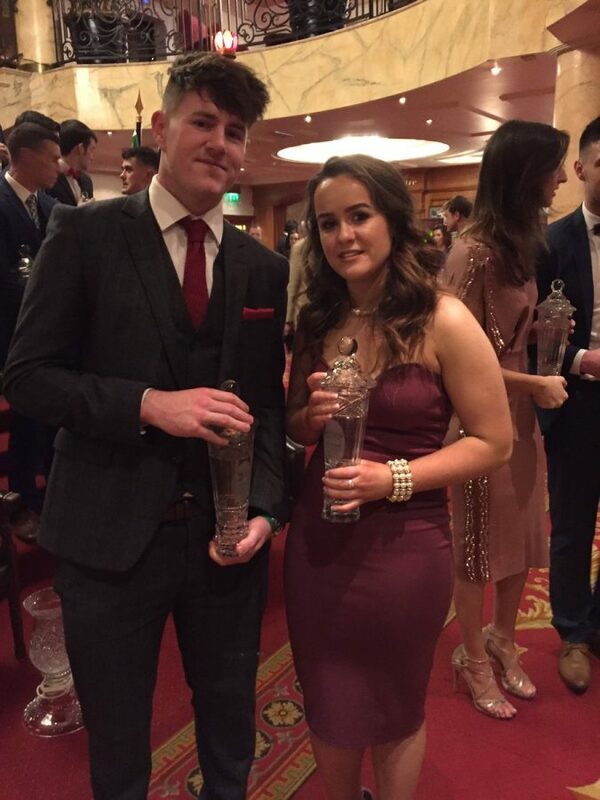 Congratulations also to Joachim Kelly who was the latest inductee into the Bridge House Hotel Offaly Hurling Hall of Fame. 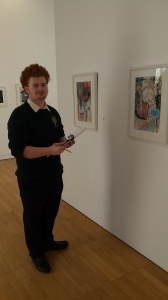 Joachim has a close connection to Gallen CS as his wife Ann is our secretary and daughter Aoife is on the teaching staff.